All eyes were on Michigan’s College Practice Camp over the weekened but there were a number of other high profile camps and showcases around the country. The Pangos All-American Camp, USA Basketball 16U Tryouts and Super Sophomore Camp all attracted a lot of top talent. 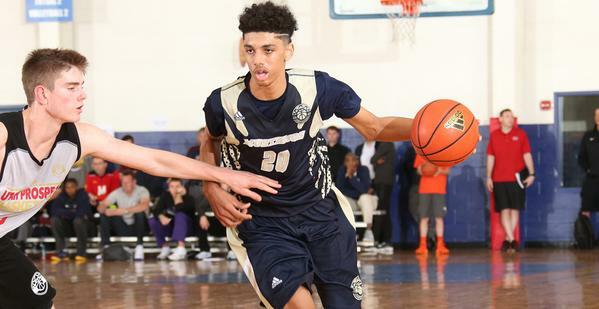 Here are some recruiting and scouting notes from those high profile events. Elijah Thomas had an impressive weekend at Pangos and updated his recruitment with Scout.com’s Evan Daniels. Thomas plans to start to schedule unofficial visits after June 15th when coaches are officially allowed to reach out to 2015 prospects. Thomas is the owner of the broadest shoulders in the country and is deceptively bouncy considering his size. Once he establishes his position on the block, he is difficult to stop over his right shoulder. Not to mention, he is quite the allusive power finisher in transition for his size. Make no mistake about it, Stephen Zimmerman‘s spot at No. 2 in the class of 2015 is safe. The lean and lanky big man was again playing a game that features skill, coordination and improved athleticism. He had a series on which he chased down a dunk attempt for a big block and then on the other end of the floor he took the ball to the rim off the dribble for an emphatic slam during a wing clearout/isolation. There just aren’t a lot of 6-foot-11 rising juniors capable of that. Four-star big man Jaylen Johnson continues to have a nice spring. The 6-foot-9 power forward can run the floor, and he’s active on the glass. The offense will come along, but his activity in the lane will make coaches smile. Oregon, Michigan State, Arizona State, Arizona, Iowa, Miami, Florida State, Central Michigan and Cincinnati are among those involved. Johnson was one of the most impressive bigs we saw all weekend. Johnson has terrific length, broad shoulders and a bouncy game. He displayed a soft touch in and around the paint area as well as some signs of an emerging face-up game. Johnson apparently didn’t list Michigan to most publications at Pangos but his AAU coach reports that an unofficial visit to Michigan is in the works. USA Basketball hosted a number of the top underclassmen prospects in the country at 16U tryouts in Colorado Springs over the weekend. Josh Jackson, Diamond Stone, Devearl Ramsey, Eric Davis, Tyus Battle, VJ King and Derryck Thornton were some of the prospects on Michigan’s radar at the event. Jackson, Stone, Ramsey and King all made the final cut and will travel to Uruguay for the FIBA Americas Championship. 2016 combo forward Josh Jackson has impacted the play with his athleticism and versatility. It took a little time but Diamond Stone started to establish himself as one of the USA’s top low post scoring threats. He doesn’t have the athleticism of Giles, Rabb or Daniel Giddens, but he does have the ability to score over defenders in the low posts. Fellow 2016 point guard Devearl Ramsey has impressed with his play. Ramsey impressed with his energy and competitiveness. He made some shots but more impressive was his tight ball handling and dominant defense. The 6’6″ wing is a swingman who loves to play physical basketball. He rebounds the basketball at a high rate and can score in a variety of ways. He is also a relentless on-ball defender. Look for him to showcase his improved skills in Colorado. Saginaw forward Al Eichelberger is one of the more promising 2016 talents in the state of Michigan. 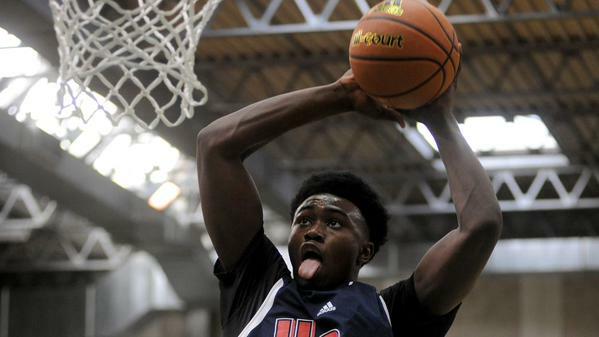 Judging by these highlights, he had a big weekend at the Super Sophomore Camp in Atlanta. 2014 wing Jordan Barnett is a new name to watch. The athletic top-100 St. Louis wing has been hearing from Michigan lately and the Wolverines tried to get him up to Ann Arbor for camp last week according to this video interview. Nate Fowler added an offer from Butler on Sunday, Fowler had a solid showing at Michigan’s College Practice Camp on Saturday.